For many people who vape -- especially those who have just quit smoking -- finding the best tobacco e-liquid is something of a holy grail. There is probably no other category of e-liquid with more variety than tobacco vape juice because, to create one, an e-liquid maker must capture the flavour of tobacco with no actual tobacco -- and without smoke. Some tobacco e-liquids attempt to capture tobacco's nutty side. Others go for bold flavour and full-bodied throat hit. Still other tobacco e-liquids include sweet flavours like honey and fruit. 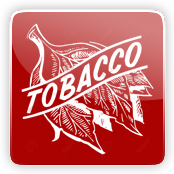 You'll also find tobacco e-liquids that attempt to capture the flavours of cigar and pipe tobacco. When you're sampling tobacco vape juice for the first time, the most important thing to remember is that you can't give up -- even if the first product you select doesn't quite satisfy you. The next tobacco e-liquid that you try will most likely be entirely different from the first. Royal Tobacco by Five Pawns eLiquid | 50ml Shortfill - Designed to mimic the tastes of the Havana tobacco leaf, Royal Tobacco by Five Pawns contains hints of tropical notes accompanying rich, spicy, and dark tobacco flavours. Kingside Tobacco by Five Pawns eLiquid | 50ml Shortfill - A light and dry tobacco accompanied by hints of barley and ripe burley berries.